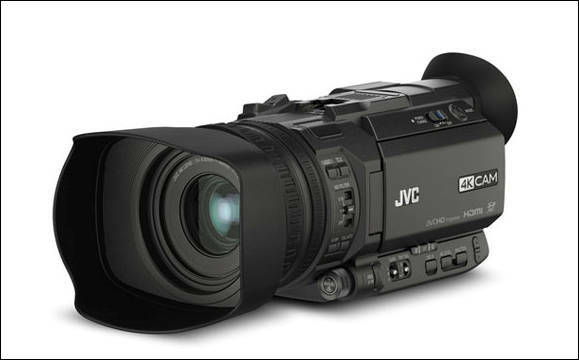 It's funny, JVC keeps building these cams, and yet I have never once seen one in the field. How is it possible? It's funny, JVC keeps building these cams, and yet I have never once seen one in the filed. How is it possible? Lack of advertisements, promo compain, dealers. 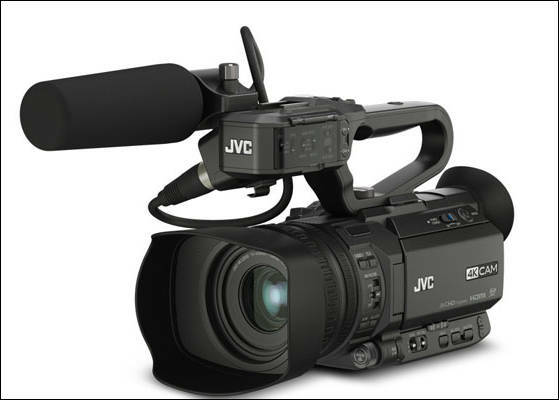 WAYNE, NJ (Nov. 12, 2014) – JVC Professional Products, a division of JVCKENWOOD USA Corporation, will introduce its 4KCAM product line and unveil three handheld camera models at Content & Communications World (CCW) 2014, which runs Nov. 12-13 in New York City. The new GY-LS300 is a Super 35mm camcorder that accepts a variety of interchangeable lenses, the GY-HM200 is a versatile, full-featured 4K Ultra HD camcorder with HD streaming, and the GY-HM170 delivers 4K Ultra HD imagery in an economical, palm-sized camera with professional features. “When we launched our ProHD product line, JVC made professional HD production affordable. Our new 4KCAM product line follows that same tradition, with three new cameras that make ultra-high definition 4K economical for cinematographers, webcasters and broadcasters, corporate and live event production teams, and even independent shooters,” said Larry Librach, senior vice president, JVC Professional Products. The GY-LS300 records to non-proprietary SDHC and SDXC media cards in a variety of image formats including 4K Ultra HD, Full HD with 4:2:2 sampling, SD, and Web-friendly proxy formats. It features JVC's 4K Super 35mm CMOS sensor combined with an industry standard Micro Four Thirds (MFT) lens mount. JVC’s unique Variable Scan Mapping technology maintains the native angle of view for a variety of lenses, including Super35, MFT, and Super16. As a result, lens options for the camera are almost limitless. The versatile GY-HM200 offers an outstanding combination of professional features and performance for any shooting scenario. It delivers 4K Ultra HD, 4:2:2 Full HD (50Mbps), and SD imagery with a 1/2.3-inch BSI CMOS chip. It also features a built-in 12x zoom lens with optical image stabilizer and 24x dynamic zoom in HD mode. Both the GY-LS300 and GY-HM200 include dual XLR audio inputs that are mic/line switchable and feature built-in phantom power, an integrated handle with hot shoe and dedicated microphone mount, and SDI and HDMI video outputs. While very compact, the economical GY-HM170 features a heavy duty body with professional control layout and comprehensive video profile settings for professional use. Keeping with JVC’s commitment to native file workflows, the camera records 4K Ultra HD as H.264 files, and can record HD and SD footage in a variety of resolutions and frame rates. Other features include an integrated 12x optical zoom lens with two ND filters, built-in stereo microphone and 3.5mm audio input, and live 4K UHD output through a built-in HDMI connector. The 4KCAM product line is an ideal complement to JVC’s successful ProHD product line. All three new cameras feature dual SDHC/SDXC card slots for dual, backup, and continuous recording. The camcorders also include a 3.5-inch LCD display and 1.56 megapixel color viewfinder, both with smart focus assist functions, and offer two-channel audio recording. The GY-HM200 has an MSRP of $2,995 and the GY-HM170 has an MSRP of $2,495. Both will be available in February. The GY-LS300 has an MSRP of $4,450 and will be available in March. The MFT mount version has got pretty amazing specs. Basically what most people are looking for in an AF-200 (if one ever arrives() Looking forward to seeing what the images are like and whether there is good dynamic range and low light performance. @nobbystylus - agreed. I think it looks great. 200fps at 1080p would have been fantastic. JVC always seems so... late? Incomplete? A little clueless? They always have one or two good ideas totally hamstringed by other major shortcomings, or sky-high pricing. I like the oversized sensor idea I guess, but I bet that "variable frame mapping" (aka sensor cropping) is just gonna be a moire and aliasing mess. And it's $4500, but there's no 4K over SDI, and you have to buy your own WiFi dongle/connection? Get real. $200 soccer-mom cameras have WiFi built in, and have for quite some time. Not terribly impressed by the footage thus far. Pretty poor DR. But will reserve judgement till we see some more footage. Some blown highlights would appear to be indicative of questionable DR, but when you consider the price point of the GY-LS300, it may have its place for a variety of venues given the total feature set. This establishes an interesting "basement" for fun comparisons. 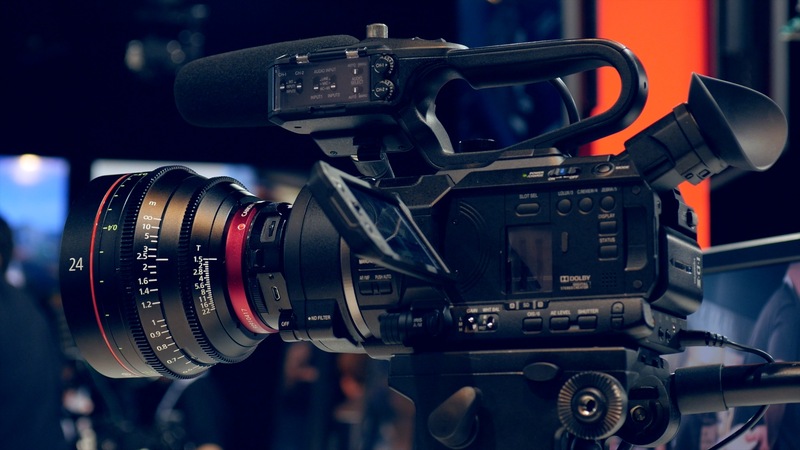 E.g., is the Sony FS7 worth nearly twice as much? Definitely would like to see more footage. If accurate, the dynamic range of the camera's sensor (as purported on the AltaSens site at 68db or 11.3 stops) appears to be similar to the Canon C300. I'm going to guess that decent results can be obtained from this camera in most shooting environments if, as with the AF100, you manage the highlights. It would be great if they incorporated SLog in the final product! I believe their price point reflects this lower performance in DR, but I also think they clearly had the thought of stealing Panasonic's thunder in coming out with their own "AF200." It's hard not to like the on-paper specs of this cam. Well... Not sure what to say about that footage. Some "fringing" and blown highlights seem evident during several segments, although perhaps some of it was overexposed. Jury is still out for me, and I really want to like this cam. Why is it only in 1080 :-/ Should have uploaded it in 4K! LS300 Purchase deal news: Apparently when you buy the LS 300 from select dealers, JVC will give you FREE either a Metabones adapter (EF, PL, or Nikon) or a Rokinon MFT 24 or 35 mm lens. So $3999 plus your choice of a worthwhile "free gift."